Don’t gamble on your small business advertising in Carson City. Let Valpak of Capital City Nevada give you targeted, measurable results with print and digital products. The Blue Envelope® is welcomed in thousands of homes in the Carson City, NV area. Your Capital City Nevada team is also Google Premier Partner’s with unique qualifications to help small and mid-sized businesses get noticed online. We offer website design, SEO, and SEM services like pay-per-click to boost your brand recognition and online visibility. Valpak of Capital City Nevada uses the latest technology to help you track your ROI. The performance tracking tool shows you in black and white how your printed coupon is performing with both a URL and a custom call-tracking number. Contact us to grow your customer base in Carson City, Fallon, Gardnerville, Fernley, Dayton, Minden and Silver Springs. For specific dates and coverage, contact your Valpak of Capitol City Nevada representative. 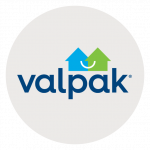 Valpak of Capitol City Nevada is an independently owned Valpak franchise.